Our first SURJ: Akron meeting at the end of January was attended by 76 people and was an exciting start to our new chapter. We will make use of our meeting times to educate as well as organize how we can be most effective in breaking down systemic racism and supporting our local communities of color. Each meeting will have an educational and interactive component including updates on action items. Our next meeting is Tuesday, February 28 at the UU Church of Akron, 3300 Morewood Dr., Fairlawn (across from Summit Mall). New folks are welcome to join us at 6 pm and the meeting is 6:30-8:30 pm. Topic: Defining Racism. childcare provided. 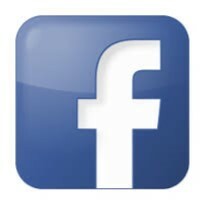 Action items that come up between meeting will be posted on our Facebook page, so make sure you have joined the page. Friday, February 10 the Akron Organizing Collaborative met with representatives from the Ohio State Patrol to discuss the procedures around the use of a K9 in an incident at the end of January. Ray Greene of AOC, facilitated the meeting also attended by Deputy Mayor for Public Safety Charles Brown, Akron Police Chief James Nice, Representative Emilia Sykes and members of the community. Several members from SURJ: Akron and the UU Racial Justice Task Force attended in support. The meeting was a successful first step in increasing communication between law enforcement in Akron and the community. Thanks to Dawn Scott for donation of water, coffee and tea. The Portage-Area Progressive Action Committee is trying to schedule a town hall in Kent with Congressman Rob Portman for next week. We will keep you posted. 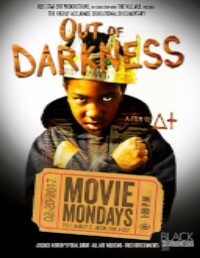 February 20, President's Day if you don't have to work, come watch OUT OF DARKNESS A Film by Δ +, examining the untold history of our people, our cultural contribution to the nations of the world, and the events that have contributed to the condition of our people today. In addition, the film will analyze the history of modern day racism, the concept of “white supremacy,” the impact of Hip Hop as a social movement, and the idea of nationhood. 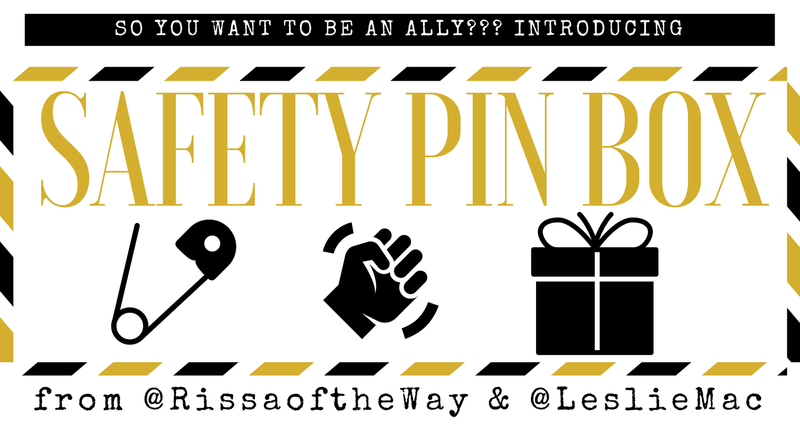 Safety Pin Box is a monthly subscription box for white people striving to be allies in the fight for Black Liberation. The Safety Pin Box was designed to specifically benefit Black women as individuals. Black women, who may or may not be with an official organization, do a majority of the labor for Black liberation work and are also the least likely to be financially sustained while doing it. Organizations have their own ways of getting money, but co-founders Leslie Mac and Melissa Jenae Johnson believe supporting individual Black women plays an essential role in Black Liberation work. Each month, recipients will be chosen at random from their pool of “Black Women Being” applicants based on funds raised from that month's subscriptions. 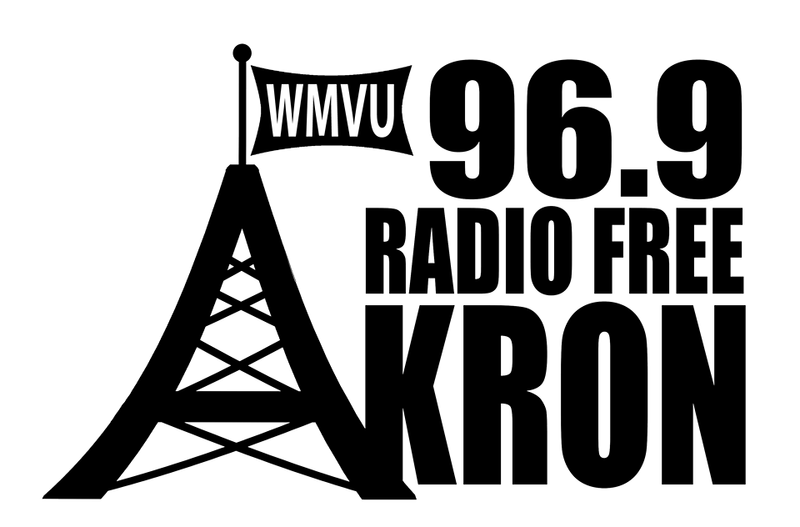 Radio Free Akron, on the air @ 96.9 FM WMVU, is a non-profit, non-commercial station looking to give low power communities a voice. Radio Free Akron is a project led by Jennifer Toles, one of the most prominent women of color in our community. Supporting Women of Color is paramount in anti-racist work. RFA is in desperate need of a digital audio engineer familiar with the Zoom H4n Handy Recorder. And they are still looking for a treasurer. Beyond that if folks want to host programming they can contact Cir L’Bert at cirl@radiofreeakron.org. We must continually educate ourselves. 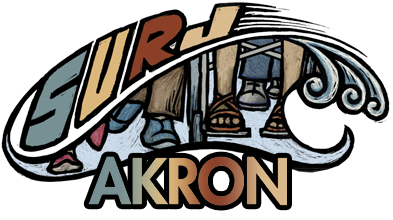 Copyright © 2017 SURJ:Akron, All rights reserved.